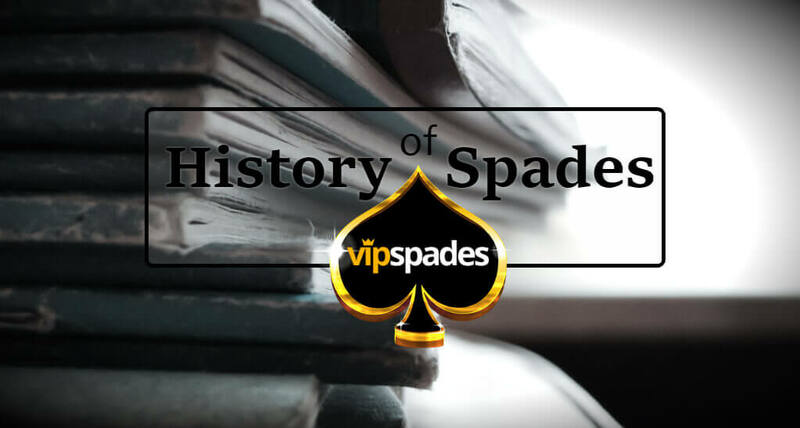 The history of Spades can be tracked to some similar card games, played 100 years ago. It is assumed it descended from Whist. Spades also has a kindred spirit with Bridge, Pinochle, Euchre and other similar games featuring partnership play, bidding and a trump suit. George Coffin, the great Bridge author, traced the roots of Spades to sometime between 1937 and 1939. Spades was played extensively during World War II as it was a fast paced game, which could be interrupted at any time – especially convenient during battle conditions! 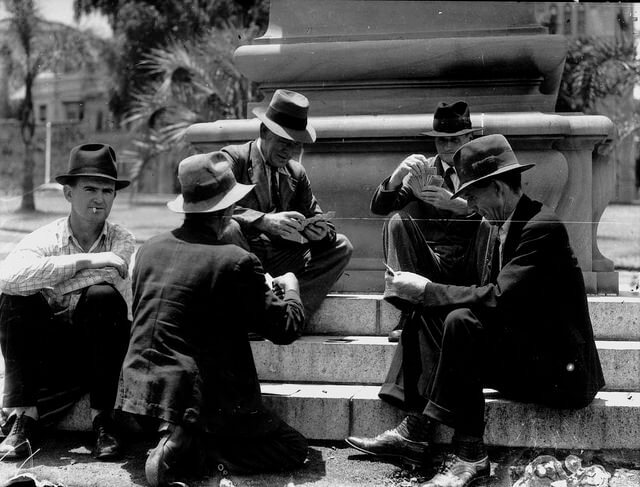 The modern game of Spades became popular in the late 1940’s, especially on college campuses. It is difficult to point a single creator of the game. It is believed it was invented by US students who enjoyed both Whist and Bridge. They were looking for a fast-paced game that was competitive and strategic. The roots of the game can be traced back to the Mid-West. It is determined that this game was introduced first in Cincinnati, Ohio, among the student society. Spades gave them a fast and competitive gameplay, where strategy dominated over chance. During the war years, it gained popularity with soldiers. Once the World War II ended, veterans from the war popularized the game back all over the USA. It kept entertained the minds of factory workers and company office assistants all across the country, demolishing the gap between social classes. The traditional card deck that everyone is familiar with originated from the Latin suits. The Latin suits consisted of swords (spades), cups (hearts), coins (diamonds) and clubs. They each represented the nobility, clergymen, merchant and peasant classes. The word “Spades” is a loan from the Italian spade, meaning “swords”. The English borrowed the French visual forms from the traditional French playing cards, which don’t particularly look like swords, but, by pure coincidence, do look a bit like the digging implements known as “spades”. For the last century, Spades has been the favorite game of the United States. Although it’s popularity, the game had a fairly underground existence until recently. But with the advancement of the Internet, Spades’ fast pace of gameplay found new grounds to grow on. Now you can find thousand of players online, eager to play another game. There are multiple online platforms you can choose to play at, and various tournaments are organised each week. Feel free to explore the game at our platform. If you are new to the game, check out the rules here, and start your journey into the world of competitive Spades.